I take the train from Boston to Delaware to visit my mom. Anything is better than flying, I figure. Plus, I can watch the pastoral East Coast scenery whiz by, in my romanticized notion of riding the rails. I pack five books, my laptop, and three short story rough drafts. After all, I have more than six hours to write or read with no interruption. When was the last time you rode a train? Do you remember the bouncing and jouncing, the rolling and jerking one mile to the next to the next…? Within half an hour, I’m so motion sick I want to die. I desperately peek in the slot in front of my seat. I only see a magazine called “ARRIVE” (I only wish), a Club Car Menu (ugh, don’t even whisper the idea of food), and a Customer Safely Manual. But no air sick (train sick?) bag. I hold on, staring straight ahead while trying to roll up the newspaper I thought I’d be able to read (ha!) into some kind of “sick box,” just in case. My case gets worse. I turn to the woman sitting beside me, dressed for success for probably an important NYC meeting, clear my throat, and interrupt her frantic laptop typing. “You may want to move to a different seat,” I blurt out. She looks at me with no alarm, which alarms me. “I’m feeling really motion sick,” I explain. I fold my arms over my stomach and breathe in, breath out, which seems to make my travel troubles more tortuous. As the conductor sweeps by checking tickets I wave my arms back and forth to get his attention. “How can I help you?” the gray-mustachioed uniformed man asks. “Do you, or I mean, does the train, um, I’m looking for a motion sick bag,” I whisper, embarrassed. “I need an air sick bag, for the train,” I croak out loudly. Faces turn my way, some with pity, some with humor, some with absolute disinterest. “Oh, no we don’t have anything like that. Hopefully you can make it to the bathroom in time,” and he points miles down to the end of the aisle. I’ll never make it in time. Finally, we stop at Penn Station, and as passengers depart, I walk up and down and up and down the aisle , feeling my stomach finally settle. While realizing that the conductor never did come back to my train car again. Can you blame him? I make it through the next 2-plus hours to my Delaware destination station, spending the time staring straight ahead, looking neither right nor left, down nor up. Not one book is opened, not one story is written. Maybe but still it was a rough ride! Ach, what a terrible day Pamela. I used to suffer motion sickness as a child and found that sitting on a newspaper helped no end. Someone told me that the motion sickness is caused partly through static electricity and the newspaper breaks that sown. True or not, it did work for me.Maybe if you’re returning by train you can try it, and get some work done. I wonder if drinking ginger ale to settle your stomach or wearing a motion sickness band might help? So sorry that this happened on your trip. Ginger ale is good for soothing AFTER; I’ve tried the band and the pills, the ‘behind-the-ear’ patch and the ginger tablets. Sigh. But I will not give up traveling! Thanks for stopping by and commenting. Love seeing you here. I hope things get better for you in future. Oh Pam 😦 I have felt that justholdonandlookstraightahead feeling more times than I care to think about! Dramamine….So sorry, Sweetie! Tell me you’re not going home by train! Well, try NOT to think about my experience the next time you travel. And yes, we writers/readers try to look down and work out our words, but in cars/trains we need to just let our mind work while our eyes look straight ahead. Cheers! You poor thing. I completely understand about flying; I will do almost anything not to fly! I love train travel and don’t get to do it often enough. The worst case of motion sickness I had was on the last cruise we went on and we had two days of our eyeballs going round and round and walking like cartoon sailors… In this country you can get travel sickness pills but I’ve no idea if they work because I forgot to take them. I wonder what the alternative is to trains and planes if you are not driving…? Always carry a Dramamine from now on!!! Dramamine is almost worse than the cure for me. I wish there was a magic pill…somewhere! I’m a bit worried about taking a boat to come see you. Maybe I’ll swim!! Oh no! You poor thing! 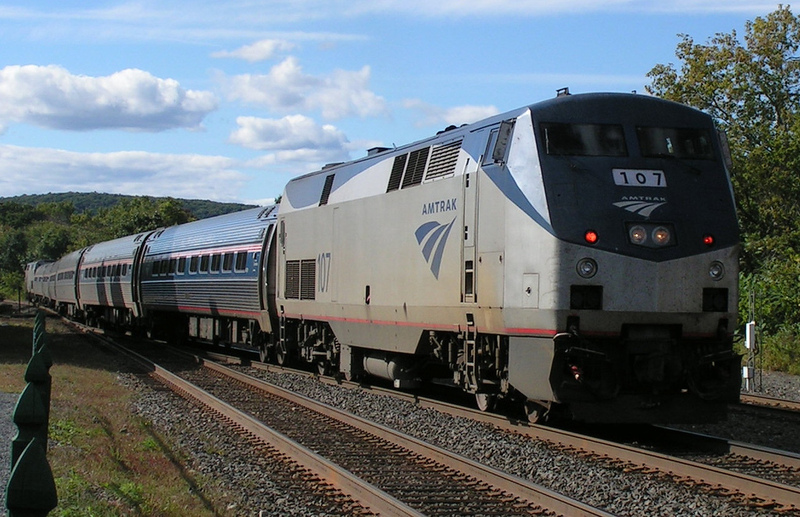 I am scheduled to take the train to New York next month – I hope my ride is better than yours. Well, it was a good idea at the time. Books and time on your hands. What could go wrong with that? If I may ask, how are you going to get back? By train? Pack the motion sickness pills, my friend. Still, with this awful ride still in your body’s memory, those pills may be tested. We all want to help. You may have a tag team of drivers lined up along the interstate to get you back to your town, all with cars with room for a 100-pound suitcase and lots of books. Pamela’s WP Shuttle. However, next time I like your idea of the tag team of drivers. Now that would make a terrific story! We’ll tag-team all along the NY-Boston roads. It’d make a great story. Fun! I imagine I’d get a whole novel out of that! And a good one, at that. I actually felt sick while reading your comments on the train ride. Poor dear! How did you get home? Oh no. Pam! That was a rough ride. I remember being seasick on a whale watch years back…not much fun trying to hold myself together and not vomit all over the place. Everyone was so excited to see a whale breach, I was so excited when the trip was over. Luckily, I don’t get motion sick on a train, take them into NYC quite a bit. Hope your trip home is better so you can enjoy the pastoral setting and your books. A whale watch would be a great torture device for a wicked person to make someone like you or me do, wouldn’t it? I have avoided boats my entire life. The train (and cars and planes) not so easy to avoid. But it’s so nice to connect with people like you who ‘get’ the misery of motion sickness! Oh no! I’m so sorry — that really WAS a rough ride for the Rough Wighter. If you don’t get car sick, you might want to look into the Uber service (Uber.com) — probably not feasible from a cost standpoint, but worth a try. I know you’re going to want to go visit your mother from time to time. The worst case of this I ever had was on a glass bottom boat. As soon as the boat got close enough to shore, I jumped over the side (I’m a good swimmer). I know I frightened everyone else on the boat, but I was pretty sure I was going to die if I didn’t get my feet on solid ground. Oh, I got dizzy just imagining you on that glass-bottom boat. And I’m not at all surprised that you jumped over the side. Me? Car sick boat sick plane sick. I tried to jump out of an airplane once – just kidding – but I certainly wanted to! I feel your pain and I am so sorry that happened. Are you still in DE and if you are, how are you going home? I love the fact that so many people are relating their ‘air’ or ‘boat’ or ‘car’ sickness. We are bonding over our misery! Yes, I’m back from DE – took a little Bonine and stared straight ahead for 6 hours. I imagine that YOU never went on a cruise again!!! Oh, Pam, I’m really sorry to hear this! I, too, love train travel and I guess I should feel lucky that I don’t have that problem. I think my best night’s sleep was on an upper berth over nighter Paris to Rome. The gentle rocking that lulls me to sleep would probably be awful for you. I hope you take some non-drowsy Dramamine and give it another try! 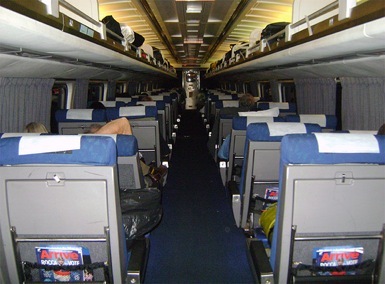 Thanks for the smile – how I wish I could enjoy a restful sleep on an upper berth of an overnighter from Paris to Rome. That just sounds like heaven. Me? I’d be upchucking from France to Italy. Yikes! 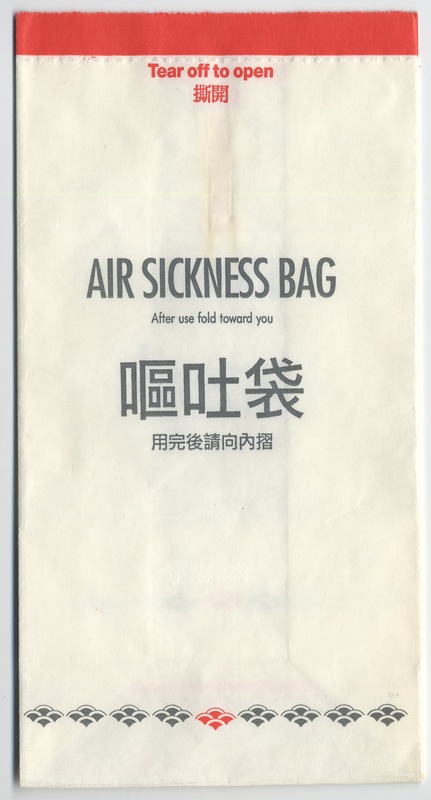 Oh dear I have terrible motion sickness and actually carry my own ‘sickness’ bag when traveling by any means. I just did a post on Tips for preventing sea sickness, which translate into any motion. It’s years of accumulated experience. 🙂 Let me know if you would like the link. Yes, please include the link! I’m shocked that you get motion sick, with all the traveling you do. Wow. Most drugs make me sick (like Dramamine) or too tired (like Benedryl) and Transderm affects me badly. But you’re so right, I should always bring my own ‘sick’ bag!! It’s one of those things i have learned to endure for the joy of the experience overall. Several of my posts tell the tale of such adventures I’m afraid. Oh, I just realize you live in New Jersey, like me! With that said, I am so sorry for your train experience. It is odd that they are not equipped for such happenings. Surely, there may have been cases like yours in the past. People should anticipate such things and make train rides (and whatever travel rides) more comfortable for their passengers. I hope you made it out okay in the end, to see your mother. Totally agree. Can’t believe they save money on that ugh. I’m searching for ginger tablets!!! Oh, your poor thing, that’s torture. I used to get real car sick but now I am ok as long as I don’t read or sit in the back seat. Planes and trains don’t affect me. I talk to my German girlfriend and see if she has a remedy for motion sickness that migh help you. Oh no poor you Pam! I get motion sickness on buses and ships so I can’t read at all on those, but what I love about trains is that I never get sick on them, so I can enjoy the journey. After reading your latest post, I guess the best thing I can say is that I’m ‘unsettled’ when in “metal motion” (planes, trains, automobiles). Enjoy your ability to get somewhere on a train, because really, it’s a romantic, fabulous way to travel. Oh me, you poor thing. I can only imagine the torture you endured on that train and at the same time maybe thinking about how you were so happy to be able to sit un-disturbed for six hours and then- there you were, sicker than a junk yard dog. Talk to your MD or a pharmacist about some over the counter or RX meds that will ease motion sickness. To add injury to insult the sign in the taxi was the capper to this story. That was funny but not really…. 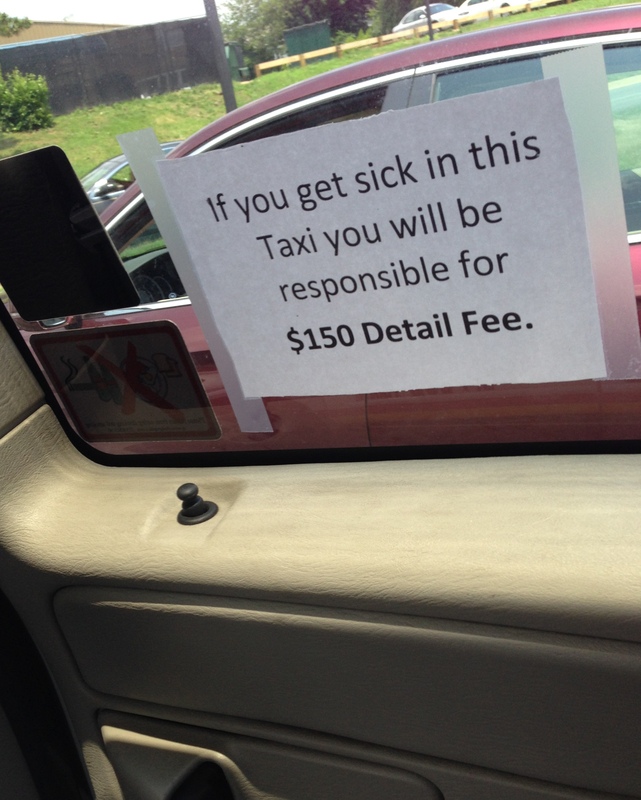 Fortunately, by the time I got on the taxi, I was feeling better, so that sign just set me off laughing. But..really? I still had to get outta there. Don’t blame you, I’d vacate the taxi too. Considering that dramamine would put you to sleep for the six hours, maybe that wouldn’t be so bad? I always feel great sympathy for people with motion sickness. I’ve only had it twice in my life, but neither time is something I like to think about. I’m glad you got through this journey from hell! If Dramamine only made me sleepy for 6 hours, I’d put up for it. But it stays in my system a loooonnng time, so I can’t function once I’ve made my destination. I love how people are responding to this blog – I felt badly writing about such a rather ‘yucky’ subject, but so many people relate!! 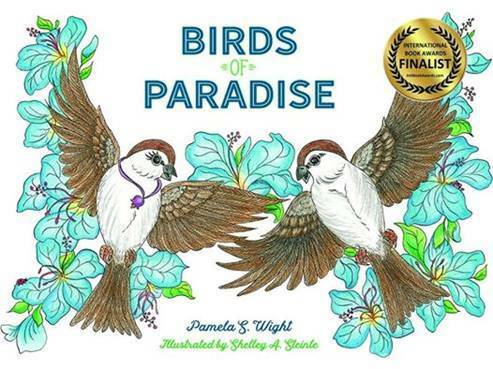 So sorry to hear about your experience Pam! I only get motion sickness on boats…I take a dramamine and sleep…I’ve never taken the train anywhere other than a quick subway trip so I don’t know if that would bother me. Hope you got a little chance to read and write at your mother’s! Lol. sounds like you are not the first to get train sick- or there would be no need for a sign. What an awful feeling and how considerate of you to keep it at bay. I once shot a commercial on a rollercoaster with 8 loops. I had to hold on for about 10 rides even though I was ready to vomit because they said if I left it would delay the shoot. The minute we were released. I walked to the bathroom and threw up. Whoa, your motion sick story beats my motion sick story any day! I avoid roller coasters like the plague. Can’t imagine going on one for 8 loops. I sure hope they paid you well. Love seeing you here – waiting for your next post…! I get easily upset stomach from motion; out of 3 kids, my oldest followed my footsteps and then none of my son’s kids have this but my oldest has 2 sons and the oldest is sick in cars, on swings if they go crooked and most amusement rides. This makes me sad you had this happen on the train. I wish it had been all your imagination had hoped for. I would have expected to be able to read, too! Who would expect a train to be like a car ride?? Yes, you understand my reaction to motion exactly. And just like you, one of my kids picked up the same ‘motion disorder.’ He used to throw up every day on the way to day care. What a mess! Don’t know about his three little boys yet – time will tell. Stay grounded, my blogging friend. Oh my, you just made me laugh out LOUD at 6:20 in the morning and almost spill my morning tea. Because, seriously, I have been on moving metal pieces (plane, car, train) when people insist on talking about food preparation and ingesting. I lose it, every time… !!!! Oh my gosh! And then to top the whole event with the sign in the taxi cab! If you don’t get car sick, you will probably LOVE a long train ride. From ND to DE? You’ll get an entire novel (or many poems) written for sure! I was thinking to Minneapolis or out into Montana. Though I might end up staring out the window instead of writing. I have so many friends who swear by the bracelets – – alas the bracelets do not work for me. Thanks so much for stopping by! Here’s to staying firmly on the (non) moving ground. I get sea sick easily and motion sick on amusement park rides and of course can not read in a car or bus so I completely understand. I just took a train ride and didn’t read because I was with my sister and we talked the 3 hours. Dramamine, Bonamine, help me on boats. Air travel does not bother me, go figure! Thanks for finding me here – nice to meet you! Oh, you poor thing!! That sounds horrible! And not to be able to get that work done either ;)! I wonder why you were so sick when apparently most people aren’t? I’m so sorry–it’s such an awful feeling! I ride that exact route ten times a week, surrounded by hundreds and thousands of people. I have never seen anyone experience anything at all close to your discomfort. How on earth do you get through living being so delicate? Ah, a fellow Amtrak rider. Thanks for stopping by here. I AM a delicate flower (so my friends kid me). They are so kind to me, though, allowing me to always sit shot gun in the car, and not inviting me to come on their boat for a ride. Each of us has some eccentricity to ‘deal’ with – mine happens to be motion sickness. I usually find a way to overcome it. On this particular trip, I was not prepared, which was my fault!